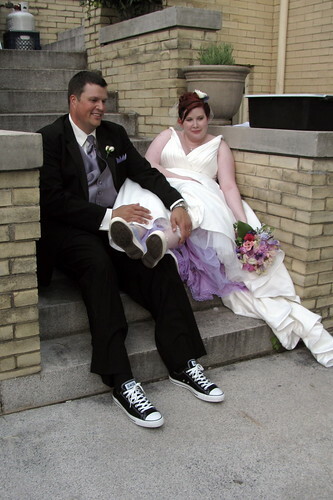 Kate asked me to dye her crinoline this sweet lilac color and little did I know she was going to wear it with a pair of awesome lilac Chuck Taylors! (She's a girl after my own heart.) I love how it came out and the color really pops against the green grass. 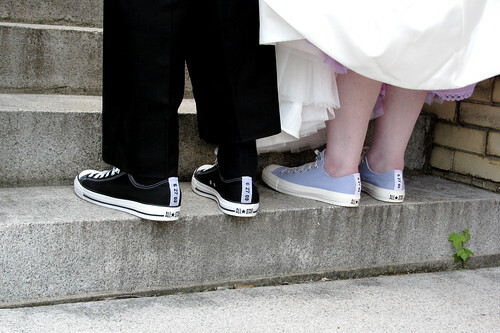 How adorable are these bride and groom converse WITH their wedding date written on the heel?! Without a doubt, this is one cute and chill couple!